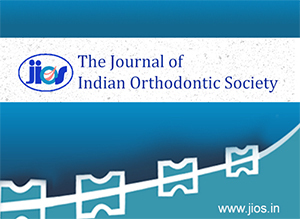 Journal of Indian Orthodontic Society is the official scientific publication of the Indian Orthodontic Society.It is a peer-reviewed online journal with quarterly print on demand compilation of issues published. The journal’s full text is available online at www.jios.in. 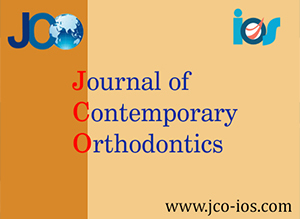 The Journal of Contemporary Orthodontics is an official online publication of the Indian Orthodontic Society. 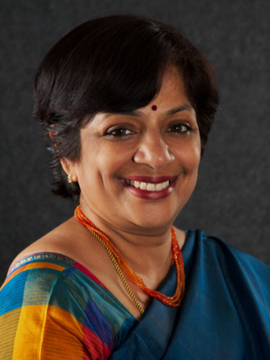 This is a theme based journal, dedicating each issue to a topic of current interest relating to the speciality of Orthodontics and Dentofacial Orthopedics with the objective of disseminating peer reviewed quality scientific material. The journal’s full text is available online at www.jco-ios.com.